Give your kids a summer they won’t forget! We are committed to offering your children a safe and fun environment, with exciting activities, daily swimming and more. Space is limited so register today! Welcome to the Princeton Club East Summer Camp! We are committed to offering your children a safe and fun environment while with us; giving them a summer they won’t forget! Summer Camp details can be found below or click “Registration Packet” to get your kids signed up for a fun-filled summer! Fun: We are dedicated to making sure your kids enjoy themselves while they are here and have a memorable time. Daily swimming in our award winning Aquatics facility, fitness based activities including Zumba, basketball, tennis and more included every week, crafts, games, and tons of fun filled activities we can come up with! Facility: We have the best club in the state to provide your kids with a variety of activities, games, crafts, swimming and more! Thank you for choosing the Princeton Club East Summer Camp for your children! If you have any questions or needs, please contact me anytime. Princeton Club welcomes your children to one of the best summer camps you will find anywhere! Campers ages 5 through 12 are invited to join us this summer (kids may be divided into age groups for age appropriate activities). Each week will be a new and exciting theme and many activities will center around the theme. Have questions or would like a tour of our facility? Please contact Program Director Crystal Lanphier at 608-241-2639 or crystal.lanphier@princetonclub.net. 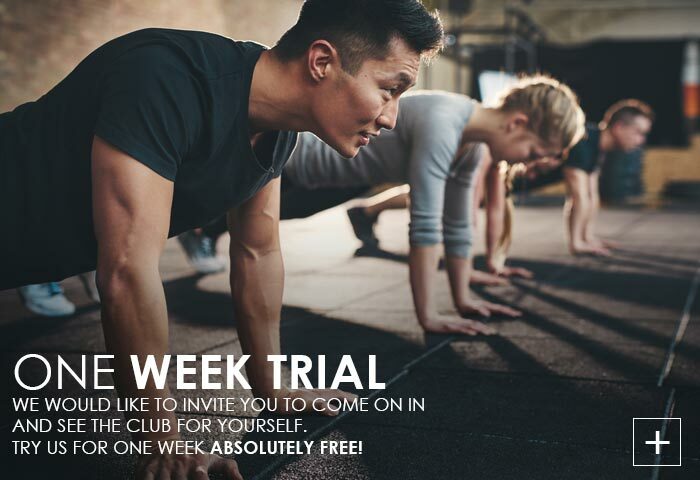 Members will get priority registration through April 15th and be processed first. After that, members and non-members will be processed in the order it is received. Non-member registrations may be turned in prior to April 15th but will be put “in order” to be processed after April 15th. Early Bird Registration Deadline: May 15th: All dates registered by May 15th will qualify for Early Bird Pricing. Only dates registered for by May 15th will qualify for Early Bird Pricing. All dates after will be at regular summer camp rates. A great chance for you and your kids to meet staff, ask questions, and be sure all paperwork is in order for your child to start. We will also go over scheduling and what fun your kids will have while at camp! Registration Deadlines are based on availability. In order to qualify for early bird pricing, all specific days/weeks must be registered for by May 15th. See below for pricing. $50 total for the entire summer unlimited usage. REGISTER BY MAY 15TH FOR EARLY BIRD PRICING! There is no camp July 4th so 4 day week would be prorated or charged as the daily fee for 3 or less days. “Gap time” is available for parents to drop their kids off prior to (7:15-8:00 am) or after normal Summer Camp hours (5:00-6:00 pm). Purchase of gap time is at the Front Desk and must be done prior to use. If gap time is not purchased in advance and is used, the charges will be auto-billed to parent account. Gap time purchases are non-refundable. *All gap time is unlimited usage AM and PM per family. • Registrations are processed in the order they are received, Member registrations will be processed first through April 15th and then processed in order they are received by either member or non-members. • Registration Deadlines are one week prior to camp week start date. • A one week non-refundable deposit fee for camp is due at time of registration plus all field trips. Field trips are non-refundable. • All Summer Camp payments are fully refundable provided written notice of cancellation is received by June 1 in the Business Office (excluding deposit). after June 1. A 50% prorated refund will be issued for any cancellations received after June 1 – only when two week prior written notice has been received in the Business Office. There are no refunds on prepaid field trips. • Days missed, including illness are non-refundable – no exceptions. • There will be a $25.00 service fee charge for any schedule changes after June 1. 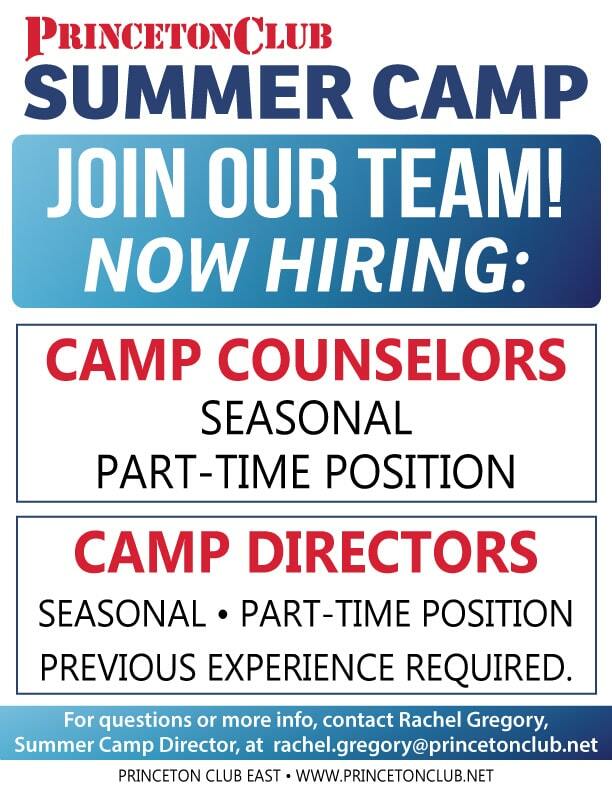 • Any enrollment additions to Summer Camp are subject to availability. • Late Pick Up Fee: Parents who do not pick up their children on time will be charged an additional $5.00 per every FIVE minutes late. • Immunization records and health history and required to be completed before Summer Camp starts. Early Bird Registration through May 15th! 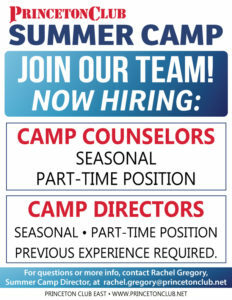 We’re hiring for Summer Camp!